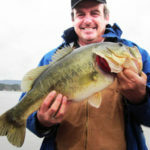 Editor’s Note: Lake Guntersville (http://www.lakeguntersville.info/) is still kicking out monster bass, and anglers all across the country travel there to fish. In the first picture today, Phillip Criss, who guides on Guntersville Lake in north Alabama, is holding a 9-1/2-pounder that he caught mid-March, 2017. 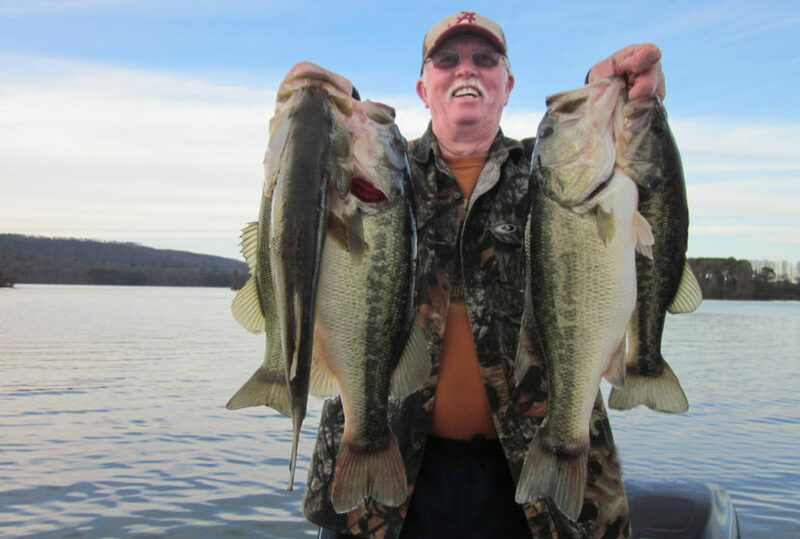 Criss fishes between 200 to 250 days a year on Lake Guntersville. If you throw in the number of days he fishes to find bass for his clients, he’s probably fishing 300 days per year. 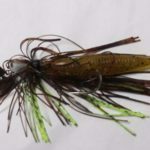 This week Criss will tell us the secrets to catching springtime Guntersville bass. I had two dads fishing with me in mid-March, 2017, whose sons were pre-fishing for a big high school tournament to be held on a Saturday. The two boys were out with their boat captain, and the two dads didn’t want to sit around in a motel room waiting for their sons to come in from pre-practice. This was one of those last minute trips, and luckily I wasn’t booked for that day. We launched our boat at Waterfront Bay www.waterfrontbay.com/, and we fished mid-lake. The early morning bite was slow, and we caught a few non-keepers. 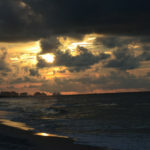 But when the sun came up, and the wind began to blow, we started fishing the pockets that had the most wind hitting them. The wind had the baitfish pushed into the lily-pad stems. I noticed that every pocket where the wind was blowing the hardest, the water temperature in that pocket was 1 to 2 degrees warmer than the main lake or in the pockets where the wind wasn’t blowing. I didn’t know if we could fish those wind pockets, because the wind was pushing our boat fairly fast. I had a couple of quick bites where the bass missed the chatterbait. So, I handed my rod to one of the Dads and said, “Cast this bait to that pocket. That bass trying to hit my bait may be one of those big mama bass that’s looking for a place to spawn.” On the Dad’s very first cast, he hooked and landed a 7-pound largemouth. 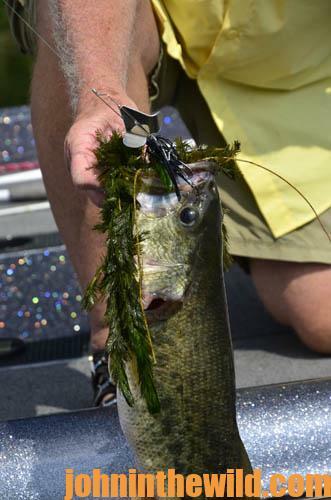 The bass was right in the middle of the lily pad stems when it took the chatterbait. Then the bass started rolling, jumping and putting on a show. So, I told the other Dad in the boat to grab the dip net. 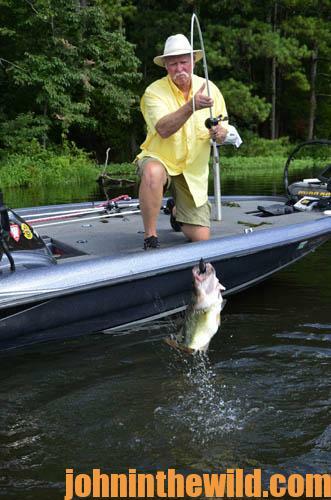 When the angler got the bass out of the pads, the fish swam under the boat. That Dad with the dip net was having a hard time trying to get the fish in the net. He finally netted the bass more or less backwards. Once we finally got the bass in the boat and out of the net, the angler who caught the bass said, “How many people do you take out fishing catch the biggest bass they’ve ever caught in their lives fishing with you?” About 75 percent of the people I guide catch their personal best bass with me here on Guntersville Lake. Some of the tournament fishermen and people who own their own boats are reluctant to hire a guide, because they believe they can find the bass on their own without a guide. I do the same thing myself. But no one should know a lake better than a guide, who spends 200+ days on the water. These guides know where the bass should be under the water and weather conditions present on the day you are there, and they know the lures the bass are most likely to eat on the day you’re fishing. My angler who caught the 7-pounder said he was a crappie fisherman, and this was the first time he ever had fished Guntersville Lake. He told me, “I just bought my son a custom rod and reel to fish in the high-school bass tournament; but right now, I can see a bass-fishing rod and reel in my future.” The two anglers finished out the day with another 15 to 20 bass, including a 5-3/4- pounder and a 4-1/2-pounder. 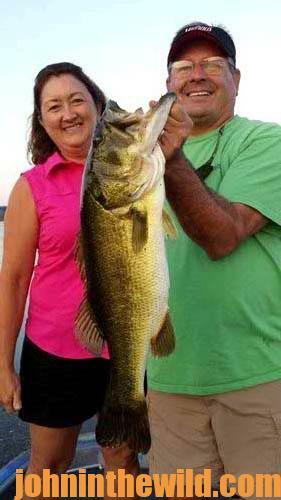 They definitely will be returning to Guntersville later this spring to bass fish. Contact Phillip Criss on Lake Guntersville by calling 205-461-5549. 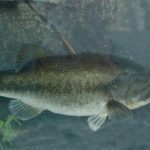 To learn more about bass fishing, get John E. Phillips’ Kindle eBooks, print books and audiobook on bass fishing, go http://johninthewild.com/books/#bass, or for Nook books, visit www.barnesandnoble.com.